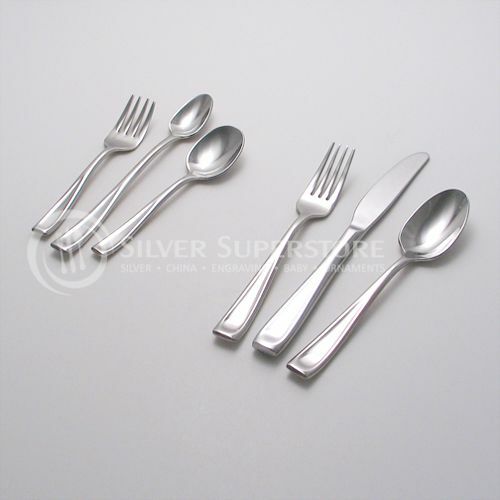 Are you in search of baby or child flatware that is not quite so baby or childish? 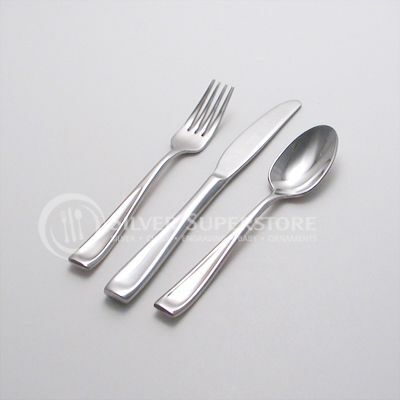 Look no further, than the Moda baby and child flatware collection. The Moda pattern is simple and lightly accented, allowing it to blend well with many decors and styles. The simple styling of the Moda pattern also allows a small space for engraving. Adding custom engraving to baby and child flatware not only makes the pieces personal but may also give your child a good feeling a pride knowing that this flatware is truly theirs. Due to the limited space on the Moda pattern, we recommend engraving a single letter such as the first initial of your child's name. Add any set to your shopping cart for engraving options. Do you wish that you could use this pattern as well? 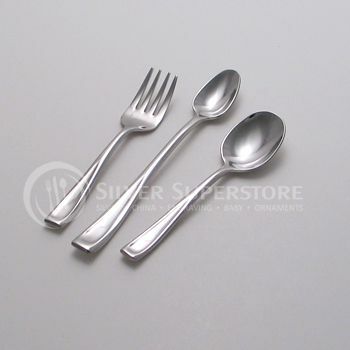 If so, you are in luck as we carry the full Moda flatware line from Oneida.